An opportunity for Falcon Bridge? You have probably used Falcon Bridge in the past, this very large path under the Clapham Junction tracks. 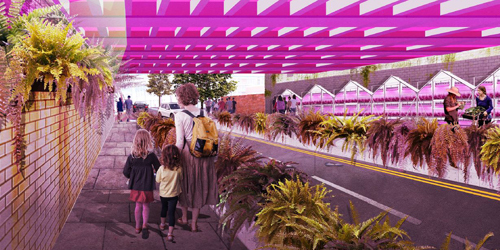 This under-path is often blamed not only for its unwelcoming experience (why is it so dark? ), but also for the “division” it creates between the Lavender Hill area of mostly Victorian design and the modern blocks of Winstanley and York estates. 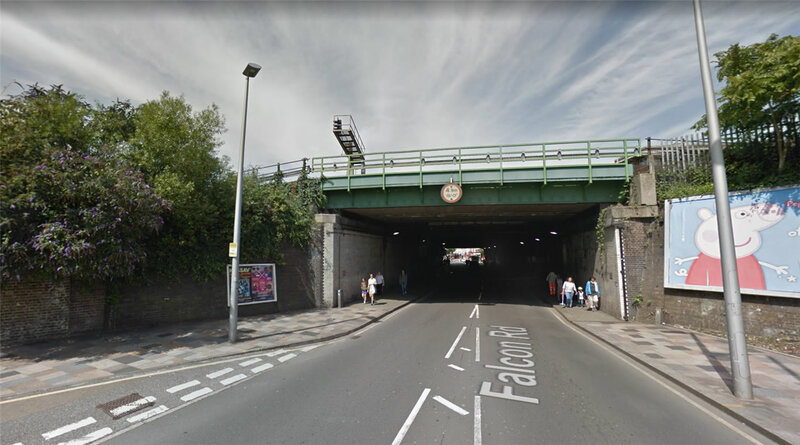 Wandsworth Council has invited residents, businesses and local school children to comment on design proposals to refurbish a large railway bridge. 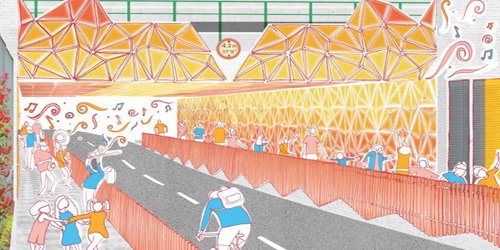 The aim is to improve the appearance and feel of the underpass, turning it into an attractive and user-friendly route for pedestrians and cyclists. 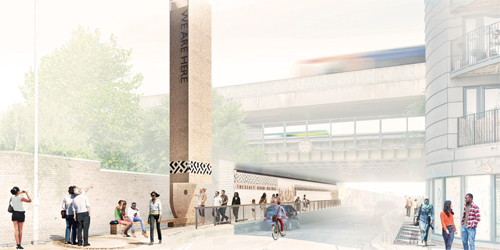 According to the Press Release, Wandsworth Council, in conjunction with the London Festival of Architecture, launched the call out to architects, designers, artists and students back in January – and have now unveiled the final proposals from the six shortlisted designers or architects. 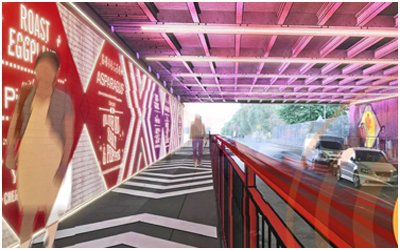 If you get excited about Falcon Bridge refurbishment, unfortunately we don’t talk about that, as this project is for the Thessaly Road Railway Bridge in Battersea, near New Covent Garden Market. 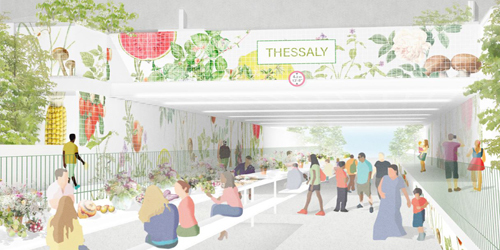 “The Thessaly Road Railway Bridge competition offers an excellent example of how architecture and design can be harnessed to make a huge difference to the lives of thousands of people. Wouldn’t that be a great idea for the dreadful Falcon Bridge under-path? In 2009, we published an article calling for such architect competition for the development of Clapham Junction station. Such competition, where residents are asked to chose the final design on a redevelopment project, might be a novelty for Wandsworth Council, but it has been used with great success for the Recent redevelopment of the centre of Paris (see our article in 2009) and by Network Rail for the main station in Birmingham (also in 2009). 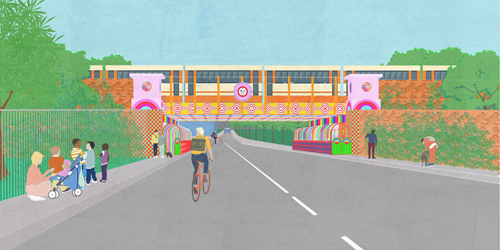 UPDATE 20/09/2018: Visual artist Yinka Ilori has been named as the winner of a competition to revitalise the Thessaly Road Railway Bridge in SW8. The Council received 258 responses to the consultation. Competition results are HERE. More information on Wandsworth’s press release.